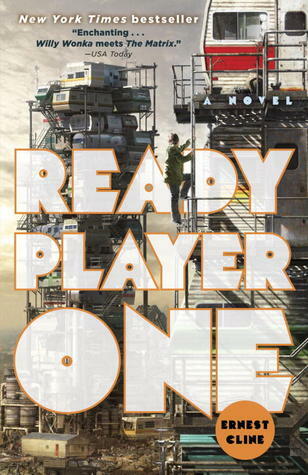 Printed Words: Get Ready To Have Fun With "Ready Player One"
Get Ready To Have Fun With "Ready Player One"
In the year 2044, reality is an ugly place. The only time teenage Wade Watts really feels alive is when he's jacked into the virtual utopia known as the OASIS. Wade's devoted his life to studying the puzzles hidden within this world's digital confines, puzzles that are based on their creator's obsession with the pop culture of decades past and that promise massive power and fortune to whoever can unlock them. When Wade stumbles upon the first clue, he finds himself beset by players willing to kill to take this ultimate prize. The race is on, and if Wade's going to survive, he'll have to win—and confront the real world he's always been so desperate to escape. Ready Player One is a genius and creative read, that had me on edge and completely obsessed. I loved Oasis - that was the best part of the book for me. The world was created in such a thorough way, with so many dynamics and was brimming with potential opportunities that I wanted to part of the world and the Egg Hunt. In short, Oasis is a place - much like Hogwarts or Narnia - where, as a reader, you feel the desire to want to be there to experience everything. That's how realistic and well-written the world is. I really could go on and on about it, but it's something you have to experience yourself whilst you're reading, because it is seriously worth it. I also thought it was ingenious to include popular pop culture reference so that, whilst the novel is set in a futuristic world, the references still has a relatable aspect for readers to not feel so lost while reading. Granted, 80's references might be a little too old for today's readers, but I really enjoyed them, and thought it was a great way to introduce today's generation to what the world loved in the past. Cline also excelled in portraying the importance of friendship, and the development of the different relationships were really heartwarming and very relatable. The romance built on realistic grounds and actually relayed how physical appearance is not as important in the end, compared to how well two people actually connect emotionally. Loyalty, understanding, communication and sacrifice - all aspects of friendships - were greatly emphasised and I appreciated that. Sci-fi novels aren't my favourite to read, but Ready Player One really blew my mind with its creativeness and just the pure fun I had out of reading it. I finished it in a day and am really excited to see it translated on screen. (If I'm not mistaken there is a movie in the works). It was so good! !